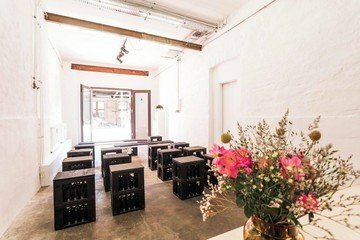 We're sorry, but space Workshoproom in renovated factory in Leipzig-Lindenau is no longer available. Attention! Only stools are included in the standard rental. Regular chairs have to be booked extra for the price below. Until 1990, only wallpapers were produced in the 'Tapetenwerk' in Leipzig-Lindenau, then until 2006 the production switched to Lufthansa place mats. 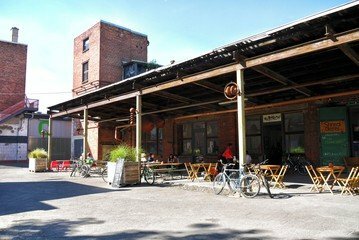 Today, the former factory complex is one of the most important creative think-tanks in the city. 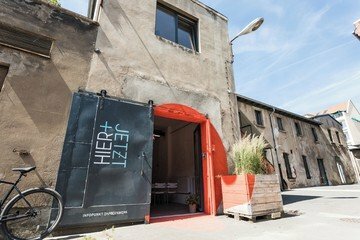 Since 2007, the owners tranform the ground to mixed utilization between galleries, workshops, studios, gastronomy and living spaces. 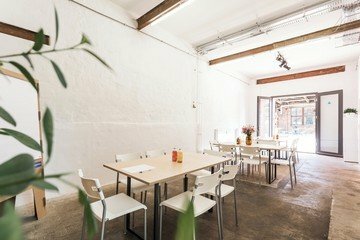 This multi-purpose room opens into the charming, quiet yard of 'Tapetenwerk' where guests, creatives and manufacturers meet for lunch or coffee. 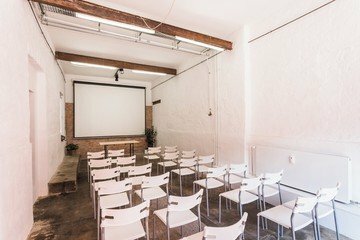 The main room (36m²) offers a wide variety of interior set-ups is thus perfect for conferences, workshops, seminars, screenings, concerts and exhibitions (...). 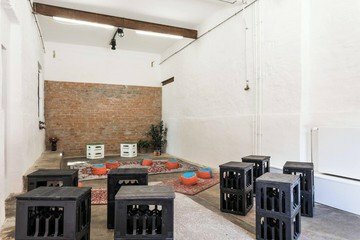 Included in the rental fee is a side room (11m²) that can be used as storage and cloakroom. The grounds, the room and the restrooms are barrier-free. WiFi is included in the price. 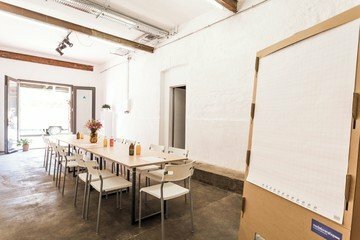 Catering is available on request: warm or cold lunch (also vegetarian/vegan), beverages, coffee and home-made cakes, all prepared with regional and seasonal products right here in 'Tapetenwerk'.